When I switched all my makeup to cruelty free I had very few foundations left! 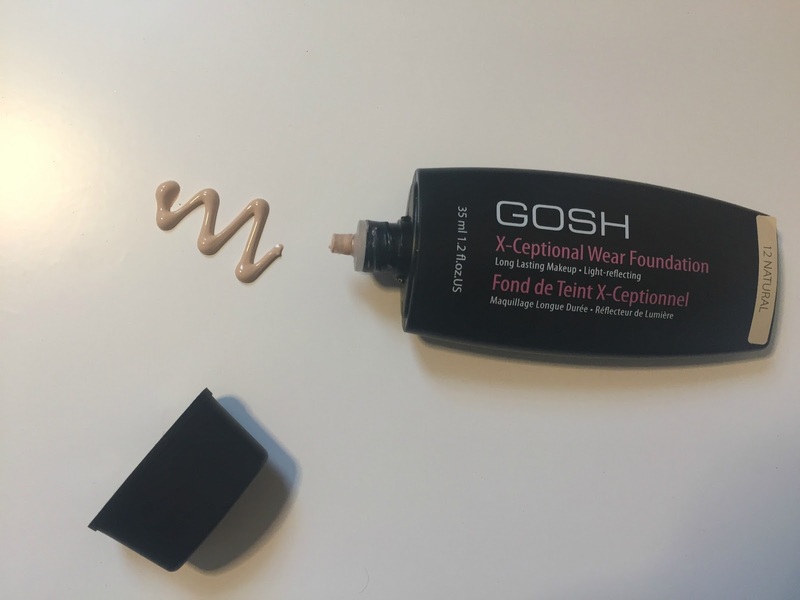 The Gosh x-ceptional wear foundation was one of the first drugstore foundations I picked up. I had heard one of my friends mention it and I figured I would give it a go. It's a medium coverage foundation that feels very lightweight. it offers long lasting coverage without feeling like it is heavy on my skin, something very important to me when you work a 10hour shift! I love how easy to blend this foundation is and how well it matches my skin tone. I picked the shade 12 natural because I felt the undertones in the foundation suited me better. I will say that the shade range is not great from Gosh - there are only six shades. However if there is a shade that matches you, you may very well find a really nice drugstore foundation here - one the blends well, is easily buildable to suit your coverage needs, one that is long lasting and one that thankfully doesn't settle into fine lines.